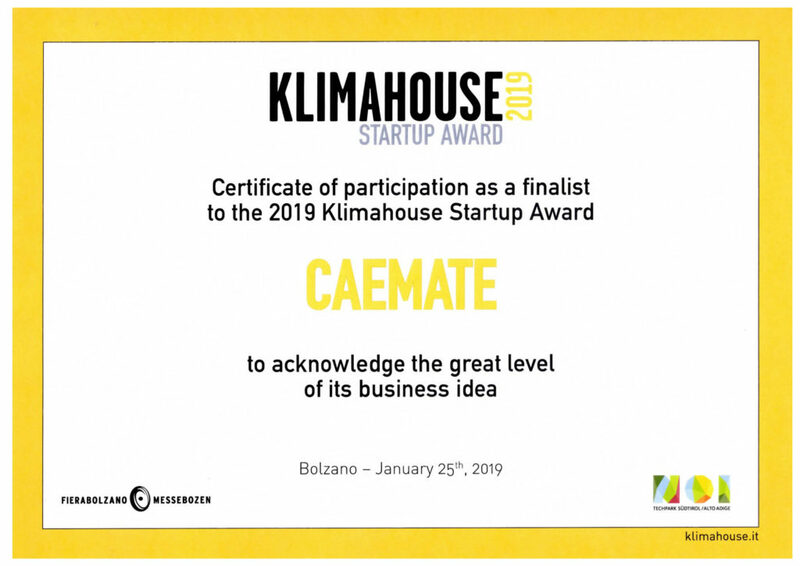 CAEmate SRL proudly second at Klimahouse Startup Award 2019! 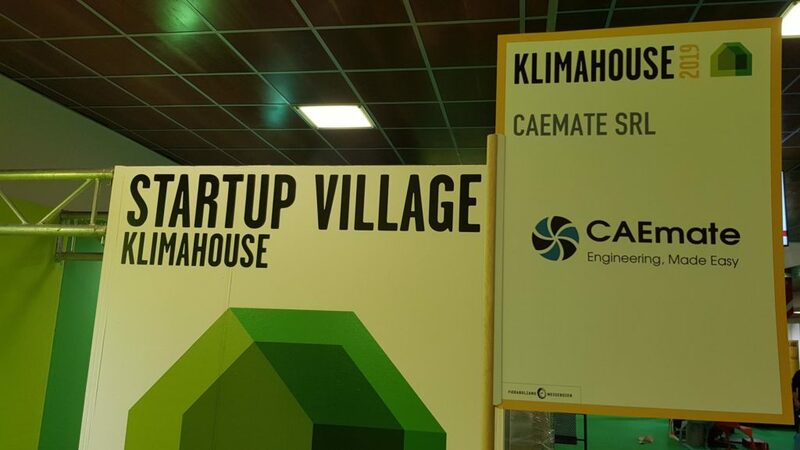 25 startups selected from all Europe competed for the Award at Klimahouse, the international fair for eco-sustainable construction. Each one of the 25 startups held a total of four pitches with different duration. Each pitch aimed to convince the jury and the public about the quality and the novelty of the business idea. 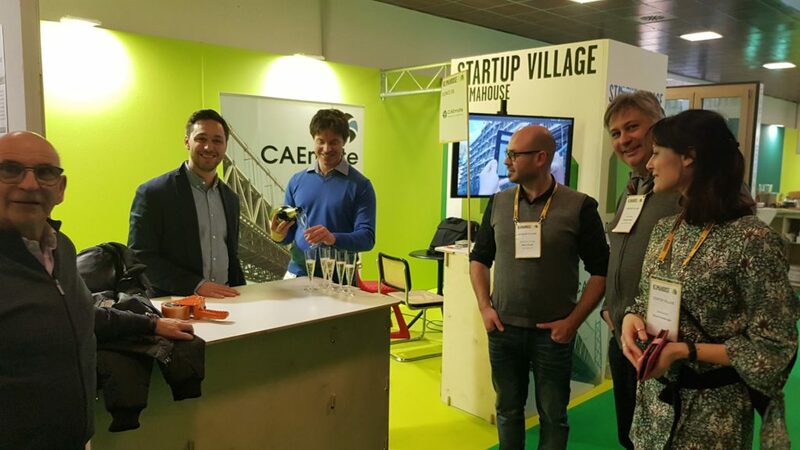 The CAEmate team presented WeStatiX, our cloud-based platform for structural analysis and FE simulation in the cloud. The jury and the public were impressed by WeStatiX mobile and innovative approach, based on a web-based GUI and cloud computing. It was a great success! We had the opportunity to know so many special people and the inventors of different, very innovative products. Beside the award, the fair was really breathtaking for the number and the quality of the products exposed. 36.000 visitors. More than 450 expositors. 25 startups. The expositors were companies from different sectors. Solar panels producers, energy saving systems, wood houses construction companies but also exponents from automotive sector like Tesla. The prestigious company presented its clean energy storage systems. This event was for us a great opportunity for networking. We got in touch with a number of companies interested in WeStatiX and our services. So, it was a very positive feedback that gives us the motivation for work hard on the future of structural analysis in the cloud. Therefore, we can already say that we will be happy to be at Klimahouse 2020! This entry was posted in News and tagged #construction, eco-sustainability, innovation by Max. Bookmark the permalink.